The retailer Debenhams has raised £2m for the forces charity Help for Heroes over the past four years, the organisations have announced. 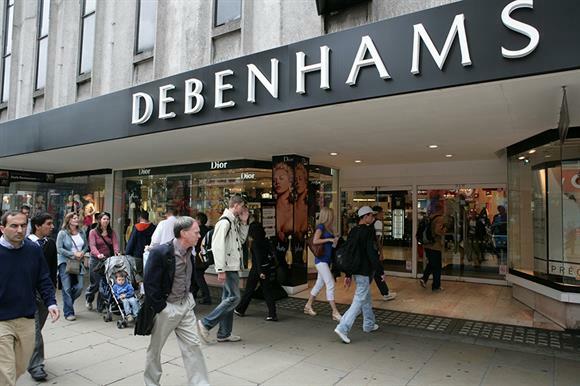 Debenhams said today that more than 27,000 of its department store employees had played a part in raising the funds through the partnership, which is ongoing. The retailer said it had also set up a new in-store programme that enables the family members of service personnel to meet up and find local support networks. Mel Waters, chief executive of Help for Heroes, said the retailer’s fundraising effort had been "nothing short of incredible". She said: "This donation continues to make a real and tangible difference to our beneficiaries and their families in providing comprehensive support for complex needs around physical injury, wellbeing and mental health. Sergio Bucher, chief executive of Debenhams, said: "Our store colleagues have been passionate supporters of Help for Heroes for over four years and this milestone is a testament to their hard work and dedication."